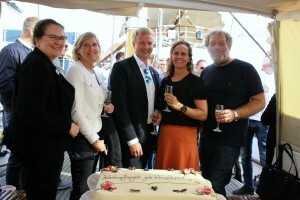 Politicians, industry, academia and NGOs all gathered for the annual week of discussions and political events in Arendal, Norway earlier this month. Bellona, Fortum Oslo Varme and Oslo City Climate Agency gathered important stakeholders for an event on the potential for a CO2 industry linked to waste incineration. Bellona’s founder Frederic Hauge highlighted the need to stick to the timeline and avoid further delays for the deployment of CCS at Klemetsrud. Politicians, industry, academia and NGOs all gathered for the annual week of discussions and political events in Arendal, Norway earlier this month. 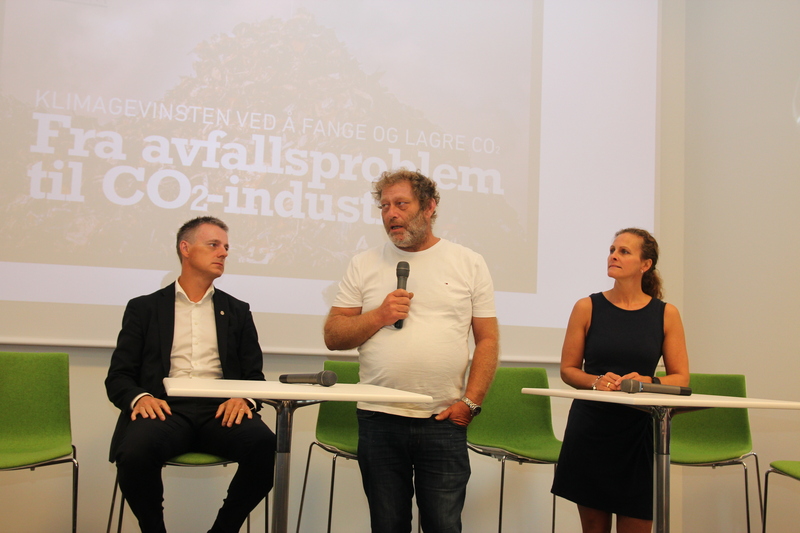 Bellona, Fortum Oslo Varme and Oslo City Climate Agency (Klimaetaten) gathered important stakeholders for an event on the potential for a CO2 industry linked to waste incineration. Waste disposal is a major, global concern, stated Liv Monica Stubholt from Oslo Fortum Varme, Norway’s largest supplier of district heating. In Norway, we can use organic waste for biogas production and we recycle materials such as plastic, glass and metals. What is left is sent to waste incineration plants such as Klemetsrud in Oslo, and used for the generation of district heating. However, such waste incineration plants account for large, local CO2 emissions in cities. There are 450 waste incineration plants across Europe, which account for large amounts of CO2 emissions. Moreover, 60% of waste in the EU is still being sent to landfills, with detrimental consequences for both climate and environment. “Restricting regulations for reducing landfill waste to a minimum will only increase the need for waste incineration plants and tackling emissions from these”, said Heidi Sørensen, director of Climate Agency in Oslo. While waste disposal is a growing global problem, there is also an emerging industrial opportunity to solve the problem, which offers to create new jobs and enhance international collaboration, several speakers agreed. On August 10th, the Norwegian government confirmed its commitment for the detailed engineering design of a CO2 capture project at the waste incineration plant at Klemetsrud in Oslo, Norway. The government will then appraise investment in building the plant in 2020 or 2021. Even though Norway is to take first steps towards investment in the new technology and sees it as an industrial opportunity, it is important that a commercial value chain is in place to decrease costs which are covered by the state. Norway has the knowledge and competence in this area and combines industrial and climate policies to achieve the results. Now it is more important than ever that the planned CCS plants be accomplished within the set timeframe and to avoid any further delay. The Vice Mayor for Business Development and Public Ownership in Oslo, Kjetil Lund, confirmed Oslo’s ambitions to be a leader on the climate action front, which in turn will necessitate the deployment of CCS technology at the Klemetsrud plant. The plant’s emissions are not only a significant share of Oslo’s greenhouse gas emissions, but are also an important contributor to total national emissions. A subsequent debate among leading climate and energy politicians, including the minister for oil and energy, focused on the public support for such an investment, with benefits such as industrial competitiveness, job creation and support towards meeting climate goals. Developing carbon capture plants still entails a large investment in the state budget and public acceptance will be key to making it a successful win-win outcome for all stakeholders. Failure to ensure timely deployment of this critical technology would entail higher costs of climate mitigation and leaves us at risk of missing climate objectives. Indeed, the IPCC’s 5th Assessment Report says “Many models cannot reach about 450 ppm CO2eq concentration by 2100 in the absence of CCS”. Find a Bellona summary of the IPCC’s findings on CCS and Bio-CCS here. Monday, 13 August 2018, Minister of Oil and Energy Terje Søviknes came on board Bellona’s boat Kallinika to celebrate the Norwegian government’s commitment to the detailed engineering design of a CO2 capture project at the waste incineration plant at Klemetsrud in Oslo, Norway.